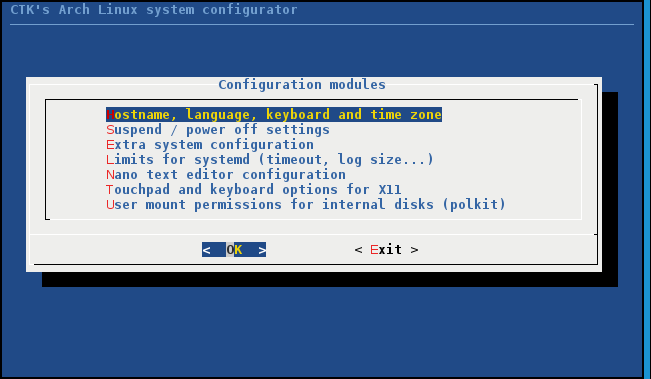 This is an interactive and educational, or automated configurator for Arch Linux. License: GPL v2 or v3. A package is also available on AUR. If you find a bug, or more probably something that would be nice to add, you can send me an e-mail (calimeroteknik free.fr) or come for a chat on irc.freenode.net, channel #ctkarch. You’ll be read!